The recent announcement that Tesla has upgraded the Roadster and is ready to offer this car as an impressive performance model in the 2020 model to be the fastest electric performance car on the market, brings us the thought of the competition. It might not seem like there are performance models that are offered for you to have the drive you would want with an EV powertrain, but we’ve uncovered five other impressive EV sports cars that prove the fact that an electric powertrain doesn’t have to be boring when you drive. Porsche Mission E –This is a high-speed and incredibly attractive performance model that will be able to compete with the new Tesla Roadster. While it’snot on the market yet, it’s been spotted at Nurburgring getting in some excellent laps and showing off with as much as 936 horsepower from a pair of electric engines that could make this the ca that can be one of the top EV models we’ll see when it’s time to get out on the track. Ariel Hipercar –Here is another model that hasn’t gotten to the market yet, but it’sone that could easily take on the track challenges and end up at the front of the pack. There are expected to be four separate 295 horsepower electric motors to make the power of this model as much as 1,180 ponies and 1,328 lb.-ft. of torque which allows this vehicle to make the run to sixty mph in only 2.4 seconds. This model should be offered in the 2019 model year. Rimac Concept One –This is a car that has become well-known for the crash that Richard Hammond was involved in, but this is certainly one of the most impressive EV hypercars to ever be built. This car can produce as much as 1,224 horsepower and 1,180 lb.-ft. of torque for the drive. The top speed shows up at nearly 220 mph and one charge can last for as much as 200 miles for the drive. Genovation GXE –While this car looks like a C7 Corvette because that’s what the car is based on, this is the model that showed up at the SEMA Show to let us have the look at the production version that Genovation has been working on. This car offers as much as 600 horsepower and 600 lb.-ft. of torque from the EV motors used and it can reach the sixty mph mark in only three seconds when it’s time to get on the track for a drive. 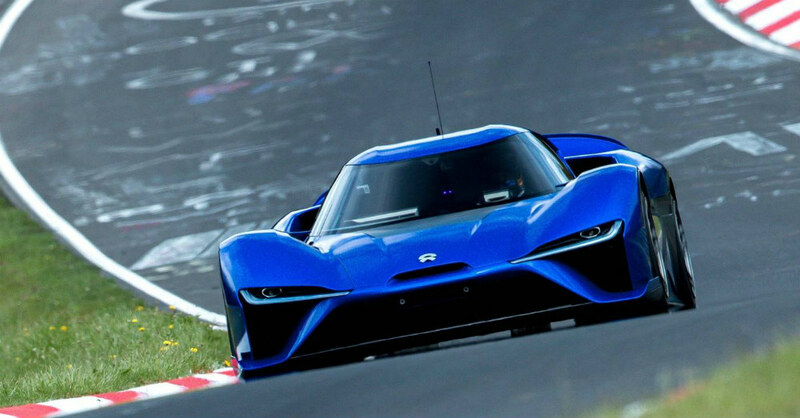 Nio EP9 –Here is an EV that looks like it has to be on the track and it’s built to hug the asphalt and rip off fast laps. This car shows up with four motors that make 1,341 horsepower and 4,671 lb.-ft. of torque to rocket this car to the front. This is a car that made it around Nurburgring in 6:45.90and it can reach sixty mph in only 2.5 seconds with a top speed of 195 mph.